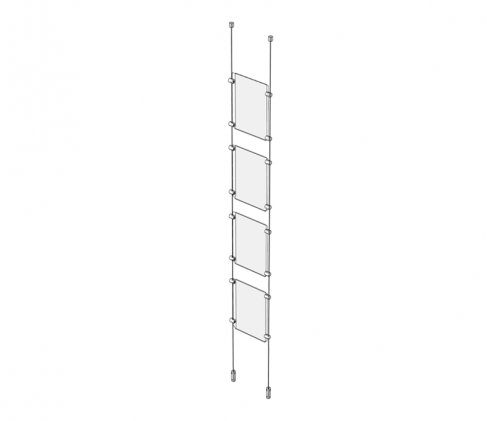 A great solution for when you need a seamless signage or shelving display! 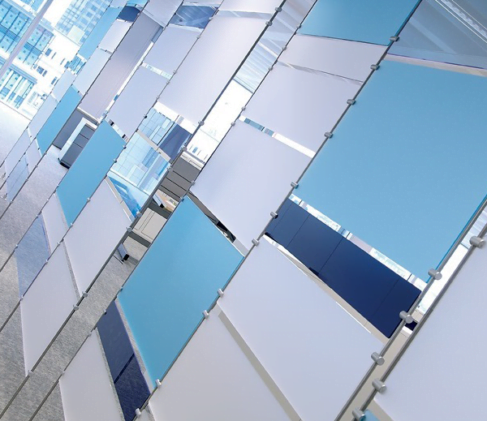 Why not use this system to build artistic feature walls within the office? Using the panel of your choice, you can create a unique & stylish feature! Or make a temporary display for your shop window? Free up space on the counter by hanging your brochures and catalogues up on our cable & pocket window display. Display catalogues, brochures, images, signage or your company’s product on sturdy, simple and effective displays for a tidy and clean office or shop. Our cable and rod systems are designed to use minimal space so you can keep you space looking good. 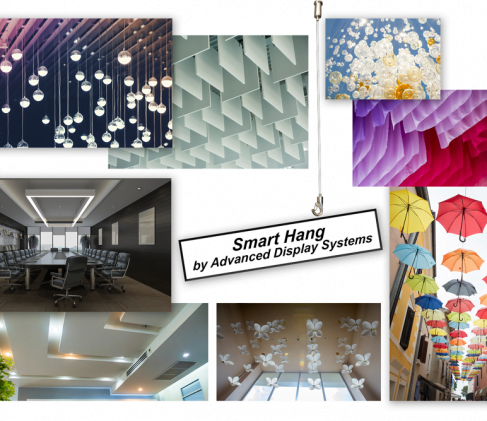 Whether you’re decorating a new space, or just looking for an upgrade, purchase a versatile display system from Advanced Display Systems today. If you need any assistance selecting the right product for you then just contact our Friendly Team on 1800 111 477 or email info@advdis.com.au.